After transitioning from one of the many guest stars distracting from Steve Carell's exit to recurring series star distracting, James Spader’s work is finally done at The Office. 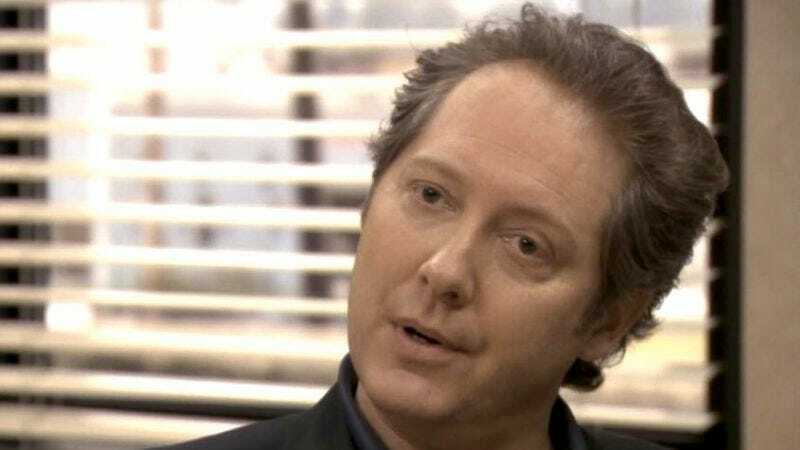 Showrunner Paul Lieberstein tells Variety that Spader had always intended his run as Robert California to be a single-season arc, and—after “having created one of the most enigmatic and dynamic characters in television” through a combination of Spader’s natural, comically intimidating presence and a random assortment of quirks substituting for character development—he’s ready to move on, before Robert California is revealed to hunt man for sport, or spend his weekends as a Dukes Of Hazzard cosplay enthusiast, or something else just for a cheap laugh. When combined with the recent news that Mindy Kaling is gearing up for her own Fox pilot, and that Rainn Wilson is seriously pursuing a Dwight-focused spinoff, Spader’s exit once more suggests that The Office will begin to look quite different if it makes it to its ninth season. Meanwhile, Lieberstein thanked Spader for helping the show transition into its “post-Michael Scott years”—plural—which, you have to admire his conviction.